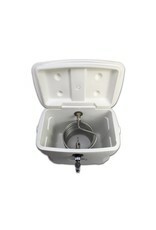 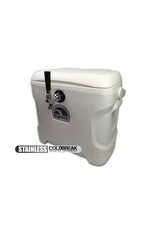 Our Brewery Edition line of jockey boxes are built out of Marine Grade Ultra coolers from Igloo. 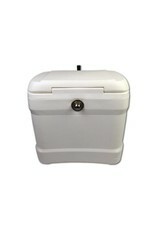 They feature UV protection, extended-life hinges, and are designed to withstand harsh, wet environments. 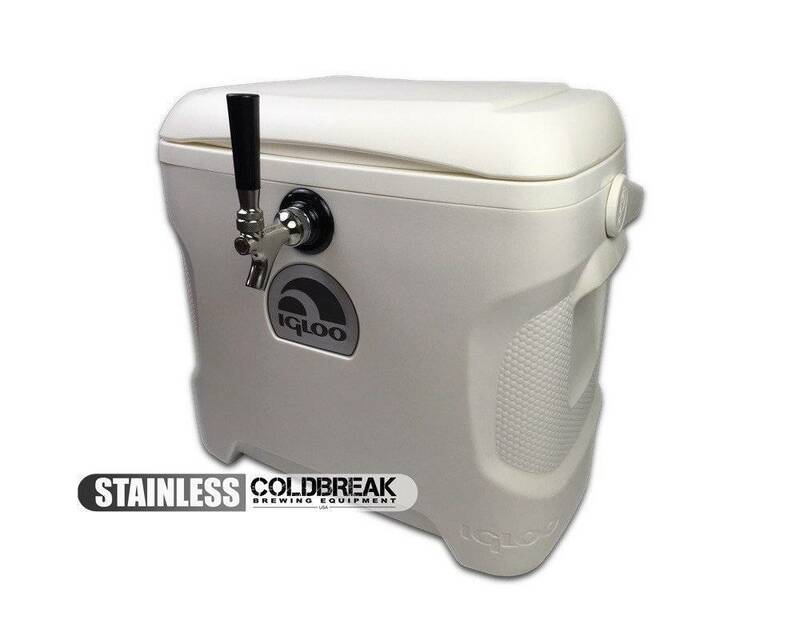 Our jockey boxes are specifically designed so that your beer has 100% contact with stainless steel. 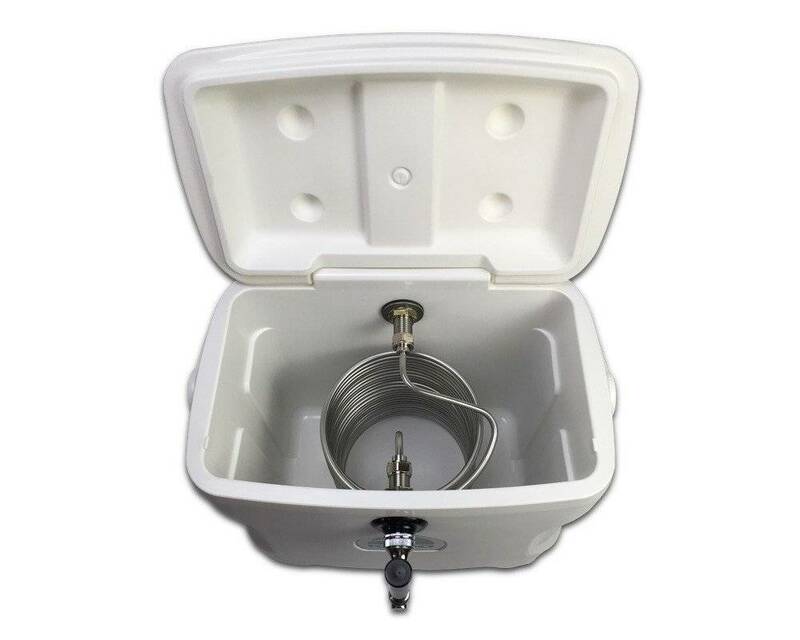 All shanks, coils, ferrules, and faucets are all made from stainless steel. 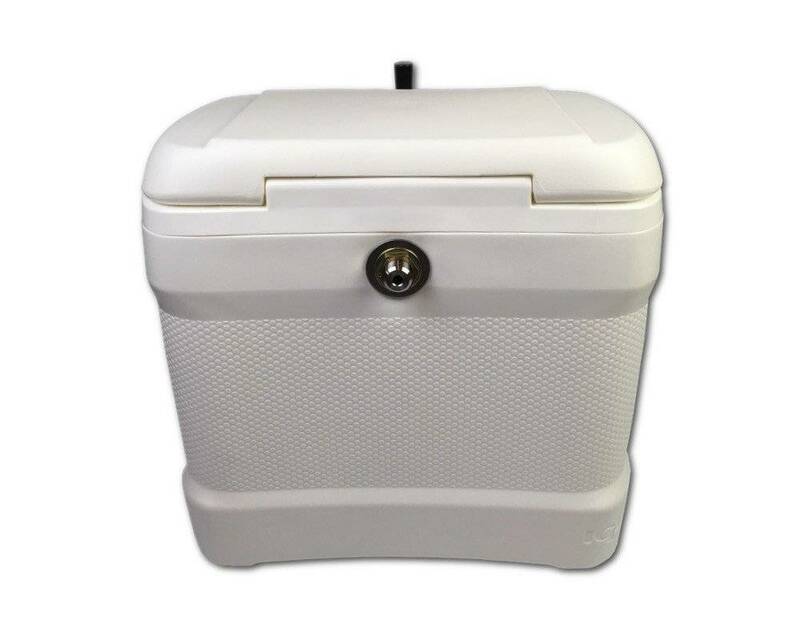 18L x 12W x 17H - The cooler is a little smaller than that, the dimensions include the handle and the shanks protruding from the front and back.